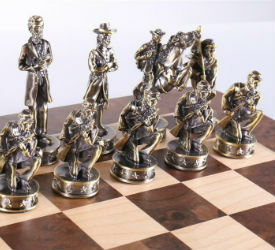 These 3 Civil War Chess Sets are Perfect for the American Patriot! Fight courageously to reunify the country with one of these significant Civil War chess sets and spend hours of fun feeling like you are in a different era. 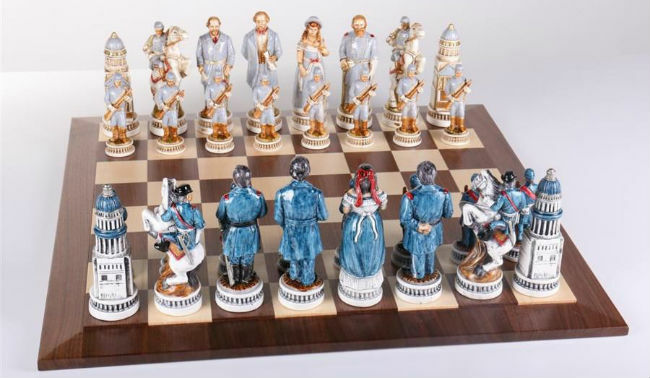 Even in 2019, Civil War themed chess sets are still a beloved item, perfect for gifting on birthdays, Christmas, or Father’s Day. In fact, they have an almost timeless appeal for history buffs and chess lovers alike. Likely because chess is often thought of as a war game, with each of your moves playing out on the battlefield, an overtly war themed chess set seems very appropriate. 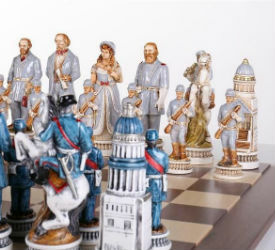 In Civil War chess sets, the pieces are often modelled after generals and other leaders during the time of the Civil War, like Robert E Lee, Jefferson Davis, Ulysses S. Grant, and Abraham Lincoln. The sides are no longer named Black and White or even Light and Dark, but rather Union and Confederacy. 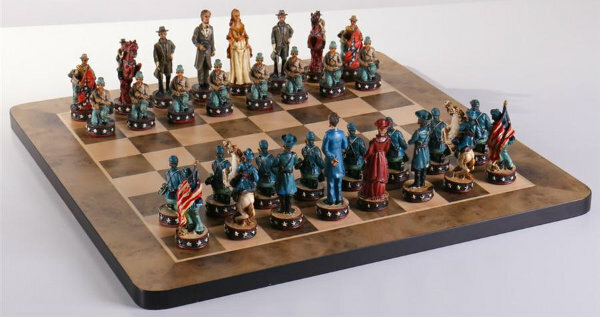 With a Civil War chess set, you can have a reenactment of sorts each time you play a game of chess. You may even find yourself rewriting history in your own little alternate universe, where the losers become the victors and the victors become the losers. Or, maybe you draw and the soldiers of both sides reach a stalemate. What would that mean for the future of America? With a Civil War chess set and a little bit of imagination, you can have a lot of fun coming up with alternate histories that stem from each move of a piece on the board. Just don’t get too carried away! This set is meticulously sculpted and handpainted in a full range of colors. It’s evident from the finished product just how much love and care went into the making of each of these pieces. The stature of these pieces befits their historical significance, with King pieces (represented by Abraham Lincoln and Jefferson Davis) towering over the battlefield at 6 inches tall. Luckily The 1863 Battle of Gettysburg Civil War Chess Set comes with its own custom storage box, because it might be difficult to find one that fit such large pieces off the rack. Not that you’d ever want to put these gorgeous pieces away! The chessboard and the storage box are both handmade in the US. They’re actually made in a little town in Pennsylvania that is not too far from where the Civil War’s famous Battle of Gettysburg actually took place. 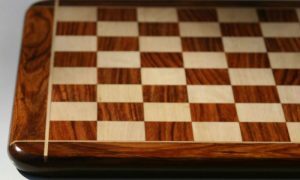 They are made from solid walnut and maple woods, and the chessboard measures 21 inches square with individual squares of 2 ¼ inches. This is a more compact Civil War chess set, with a chessboard that’s only 16 inches across, with 1 ⅝ inch squares. But it is still an eye catching piece and will definitely not go unnoticed. The King pieces are just over 3 inches, but they’re very weighty since they are made out of pewter with silver and gold finishes. Though The 16″ Civil War Chess Set pieces are on the smaller side, they are very detailed and you can tell that they’re of a fine quality. 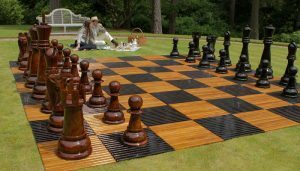 Their shiny metallic surfaces also help them to stand out from the natural wooden chessboard, and you’re sure to get compliments on this set, wherever you keep it. The chessboard in This Civil War themed chess set is made from Walnut root. It has sleek rounded corners and a totally flat playing surface that give it a modern feeling. The design of the chessboard is simple, so as not to distract from the gorgeous pieces it accompanies. There is no storage box included with this set, but the pieces are small enough to fit into almost any commercial storage box. This Civil War chess set offers budget buyers a surprisingly affordable way to own a very nice themed chess set without breaking the bank. This is a very colorful, highly detailed Civil War chess set that would be perfect as a decorative display. Because it is so colorful, The Civil War Chess Set – Union vs Confederate Armies may be a bit confusing to play with, since it’s not always clear at a glance which piece belongs to which side, unless you’re highly familiar with all of the pieces and their designs. The pieces are made from a polystone composite material with thin black felt bases. There is only one Queen piece per side, once again making this Civil War chess set better for display than actual play. 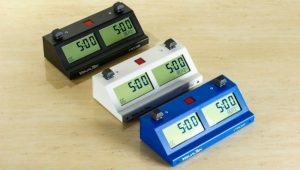 Its small size is also better suited for display than active chess playing. The King pieces are 3 ½ inches tall with a 1 inch base, but the chessboard is only 16 inches square in total, with squares that are 1 ⅝ inches. You can see how this would make for a crowded playing surface during an actual game. 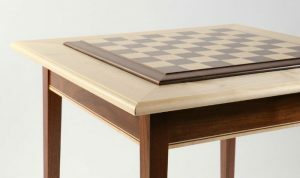 The chessboard is made from walnut and maple veneer boards with a matte finish. No storage box is included with this chess set. This compact Civil War chess set fortunately comes with a compact price point to match. While we don’t recommend it for regular use, this set would make a great display piece for your home or office. 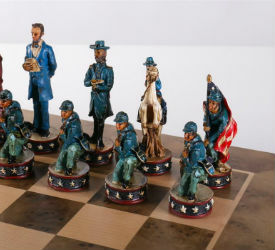 We hope that one of these Civil War chess sets has caught your eye. Even in 2019, so long after the Civil War took place, these themed sets remain a popular choice and more and more are hitting the market. 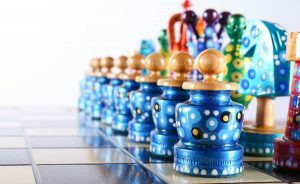 If you’re more interested in chess sets with a different theme, check out our other articles about themed chess sets, like these Harry Potter chess sets, Dragon chess sets, Isle of Lewis chess sets, Batman chess sets, Super Mario chess sets, or our main themed chess sets page which provides an overview of all of the above and more. 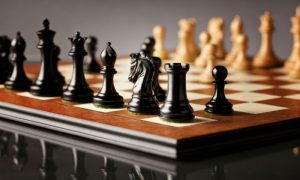 There is a themed chess set out there for just about anything that you can think of, and our reviews are designed to help you find the right chess set for you without having to wade through pages and pages of low quality listings. We do the hard work for you and locate all of the highest quality chess sets on the market in 2019! 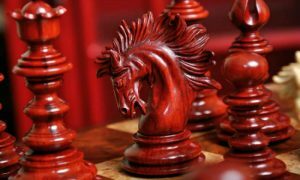 The Best Chess Sets: List of the Best Chess Sets of 2019.